Have you ever asked yourself when is it okay to borrow from retirement funds? Apparently, a lot of Americans have not just asked this – they have already done it with their respective accounts. A survey done by Bankrate revealed that one out of 5 Americans who are in their retirement age have admitted to using their retirement money to finance an emergency. The same survey also revealed that those with a lower income are more likely to borrow from their retirement savings. 90% of those who earn $75,000 or more said that they did not touch any of the investments meant for their retirement. Obviously, those who earn a higher income are not tempted to use their retirement savings because they have more money coming in each month. They have the capabilities to finance any unexpected expense that they may have. For instance, they do not need to borrow from a 401(k) to pay off their debts or a medical emergency. Of course, not everyone earns $75,000 and above. With an average of of $50,500 income, you can expect that most Americans are more likely to borrow from retirement funds. In fact, 66% of Americans earn less than $41,000. If they happen to face an emergency situation that requires a huge sum, they will probably not think twice about getting the funds from their retirement savings. The truth is, borrowing from your retirement money is just like borrowing from yourself. After all, this is your money. Even if you have to pay for the interest, you are technically paying yourself. However, this is still discouraged because some people fail to put back the money that they got. Not only that, they tend to make a habit of relying on this retirement money. Instead of building up their emergency fund, they know that they have some cash set aside for retirement. It does not force them to save up separately for unexpected emergencies. While that is true, there are instances when using your retirement money to pay for emergencies is okay – as long as you know how to borrow money wisely. There are three different scenarios when you can borrow from retirement funds. After you have exhausted your other options. First of all, you should have explored all the other options that you have to get the finances that you need. You should have exhausted your emergency fund supply or you should have tried applying for a low interest rate loan. In case you can only qualify for a high interest rate loan, then it is only right that you prefer to use your retirement fund. As mentioned, even if you pay interest, it is your future self who will be benefiting from that. If it can help improve your finances. Another scenario that makes it okay to borrow from retirement funds is when you want to improve your finances. For example, if you have a lot of high interest credit card debts that are draining your current income, then getting from your retirement fund could help you get rid of that debt. By doing so, you can help repair your damaged finances. Once you have gotten rid of your credit card debt, you can work on strengthening your financial position. If it is to be used on an investment. The last scenario when it is okay to borrow from retirement funds is when you will use it on an investment. Just make sure that this particular investment will make you earn more than what it is earning in your retirement portfolio. If you can find an investment opportunity with a guaranteed high return, then that is a great idea. Probably one option that really makes a lot of sense is when you are using it as downpayment for a rental home. Buying a home that you can rent out is a great investment – especially for someone who is about to retire. It is a great passive income. If you can set a high rental price, it is possible for you to use that to pay for the loan you got from your retirement fund and at the same time, the mortgage. MarketWatch.com also revealed that there are instances when you can borrow from retirement funds and not be taxed for it. At least, this is true if you when the loan is paid within a specific period. For instance, when you borrow from your 401(k), you need to pay it in 5 years or less – or before you leave your job. Although you will pay interest, this will all be going to your account. In case you borrowed from your IRA, that loan has to be paid in 60 days. In most cases, failing to pay within the specified period will end up costing you a penalty charge. The article on the same site also revealed certain situations that make it okay to borrow from retirement funds. These include buying your first real estate property, paying for your education or that of a family member (as long as it is postsecondary), or paying health related costs. Those who are serving in the military can also get penalty-free withdrawals – but they have to meet specific requirements. There is also this thing called the SEPP or Substantially Equal Periodic Payments. This is the penalty free option to borrow from retirement funds – at least this is true for 401(k) and IRA. However, this is only possible for those who are under the age of 59 ½ and either left their jobs or has to fill in an income gap. You will be qualified to receive an annual distribution that is based on your life expectancy. 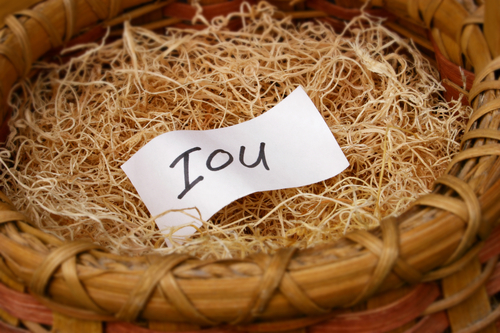 Any of these scenarios make it okay to borrow money from your retirement fund. Just make sure that you have a plan to pay them off or replace what you borrowed. You have to understand that borrowing from retirement funds have to adhere to specific rules. According to BalancePro.net, early withdrawal usually has to satisfy the following rules. You were laid off, terminated, quit or retired after you turned 55 and above or you were elected to receive SEPPs. You passed away and it will be distributed to your beneficiaries. You need to pay off medical expenses that is beyond 7.5% of your adjusted gross income. You are forced by a court order to give it to a dependent or your ex-spouse. Hardship withdrawals are possible as long as it involves medical expenses, higher education expenses, buying the first residence, payment to avoid eviction or foreclosure, repairs for the primary residence, or funeral costs. It is also possible to cash out the retirement money after you leave your job. Take note that you have to pay income tax when you make any withdrawal. You will use it to pay for your first home (more than $10,000). You have unpaid medical expenses that is beyond 7.5% of your adjusted gross income. You need to pay medical insurance because you are unemployed for 12 weeks or more. You have payments for a higher education. You have unpaid taxes with the IRS. You passed away and the funds are disbursed to your beneficiaries. You are allowed to receive SEPPs. You are using it to fund another IRA. Like the previous, you also have to pay income tax for every withdrawal. For Roth IRA. There are only two conditions for you to be qualified to get an early withdrawal of your contributions. You should have established your Roth IRA for at least 5 years already. In case your funds came from a conversion or a rollover of a traditional IRA or any employer-sponsored plan into a Roth IRA, the 5-year count will start from the conversion and not the time you established the Roth IRA. You should have a qualified reason to get a distribution. It could either be the following: you are 59 ½ and above, permanently disabled, using the funds for your first home (purchase money), or distributing it to beneficiaries after you pass away. Any withdrawal from your Roth IRA will first come from your regular contributions, conversion contributions and then your earnings. You will only go to the next when the previous had been exhausted. Take note that withdrawals from earnings will always be taxed. The penalty can be waived as long as it meets the qualified reason but there is no way that the income tax can be waived. You will use the funds for unreimbursed medical expenses that is beyond 7.5% of your gross income. You will use it to finance your medical insurance (for unemployed and is getting unemployment insurance for at least 12 weeks). You are paying for higher education costs. You are receiving it as part of SEPPs. You are paying a levy by the IRS. You are receiving the fund as a qualified, reservist, disaster recovery assistance or recovery assistance distribution. Before you borrow from retirement funds, it is very important that you consider the type of fund you will withdraw from and your purpose for doing it. What you have to realize is that borrowing from your retirement money can be risky because it can compromise your financial future. You need to find ways so you will not outlive your retirement money. Otherwise, you could find yourself old and sick and without funds. At this point, you will be too weak to work so you will have the money to pay for your medications. Make sure this will not happen to you. If you really have to borrow from retirement funds, you have to create a plan to put it back.